LIMERICK GAA are US bound for a five day mini-tour with the Liam MacCarthy Cup. 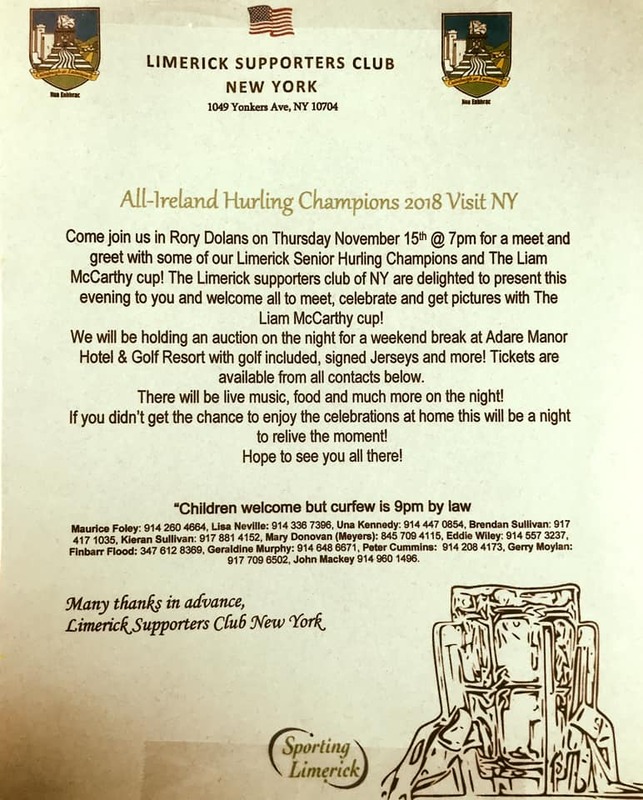 Members of the All-Ireland winning team, management and officials of Limerick GAA, along with the coveted Liam MacCarthy Cup, are to journey to New York, Boston and Chicago next week. The trip is planned to coincide with Limerick's participation in the Fenway Classic in Boston on Sunday November 18. The first stop on the US Tour will be Rory Dolan's Restaurant & Bar in Yonkers, New York on Thursday November 15 at 7pm. The Liam MacCarthy Cup will attend the meet and greet along with captain Declan, Hannon, Cian Lynch, Kyle Hayes, Sean Finn, Dan Morrissey and Graeme Mulcahy. Manager John Kiely and Limerick GAA officials John Cregan and Mike O’Riordan will also attend. Next up is the Bostonia Public House in Boston on Sunday November 18 at 8pm. This event is hours after the Fenway Classic and almost all the All-Ireland winning panel will attend this event. 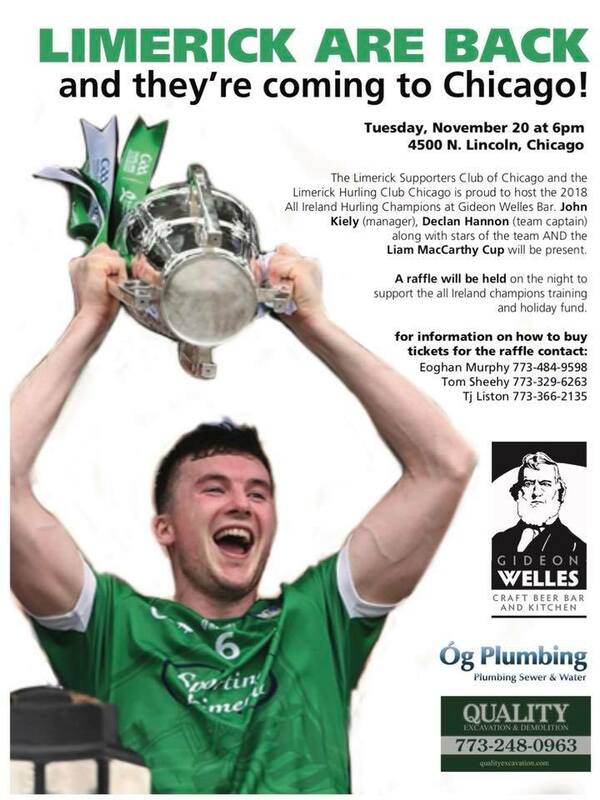 The final leg of the celebratory US tour is in Chicago on Tuesday November 20 in Gideon Welles Bar at 6pm. Manager John Kiely, captain Declan Hannon and other players, along with the Liam MacCarthy Cup will attend. Further information all on three events is available from the respective establishments.